The RCEP may well become the second major Asia-led trade agreement in the wake of US President Donald Trump’s exit from the Trans-Pacific Partnership (TPP) in 2017. 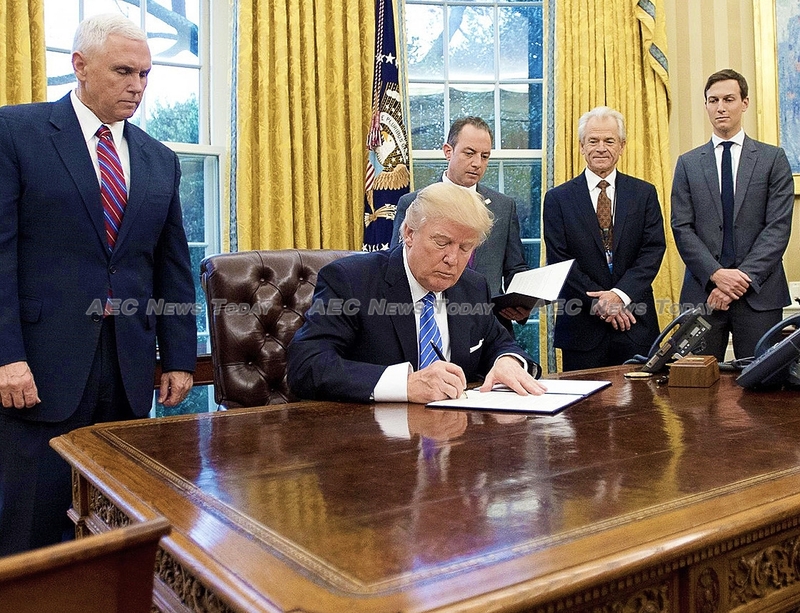 The remaining 11 TPP members renamed the TPP the Comprehensive Progressive Trans-Pacific Partnership (CPTPP), kept its contents largely intact, and signed it in March 2018. The CPTPP will take effect on 30 December 2018. The RCEP is also converging on an agreement, but the chances for clinching the deal this year are receding. Once completed the RCEP will offer a powerful boost to the rules-based global trading system. It will be a free trade area for the record books — huge in population and output (covering 3.6 billion people and a GDP of US$25 trillion, exceeding that of the United States) and the most ambitious ever negotiated by developing countries. It will encompass the first-ever agreements among China, India, Japan, and South Korea, building upon commitments in the World Trade Organisation (WTO), and offer new evidence of Asian leadership in world trade. The US–China trade war complicates RCEP negotiations. On the plus side many Asian countries appreciate the need for strong coalitions to counter US bullying. Also, a ‘poison pill’ clause introduced by the United States in the United States-Mexico-Canada Agreement (USMCA) precludes members of this and other potential US agreements from also signing accords with ‘non-market economies’ (read China), adding urgency to completing RCEP. However, some are worried that the US attacks on China will shift Chinese exports towards their own markets. Meanwhile, countries like Vietnam and India may benefit from greater access to US markets that Chinese exporters now control. The sheer uncertainty caused by the first major trade war since the Great Depression makes countries reluctant to enter long-term commitments. None of this should derail the RCEP. Its economic effects are expected to be substantial, if smaller than those of a best-practice free trade area. Much will depend on the template that emerges, but signs are that the RCEP will fall short of the CPTPP. In the RCEP, some countries may reduce only 80 per cent of tariff lines with long phase-out periods, versus close to 100 per cent in the CPTPP. The RCEP is also likely to have limited effect on non-tariff and non-border measures, or on intellectual property and service rules beyond those of the WTO. The RCEP will increase global real incomes by an estimated US$286 billion per year (about 0.2 per cent of global GDP) once the agreement is fully in place in 2030. Absolute gains will be almost twice as large as those from the CPTPP due to the RCEP’s greater scale. These gains represent a permanent upward shift in real income and make the RCEP equivalent to a US$7.2 trillion investment that returns 4 per cent per annum. Global trade is expected to increase by 1.9 per cent with the RCEP. Trade diversion (in which trade shifts from more to less efficient exporters because of trade discrimination) is estimated to be small. Some non-members may in fact benefit due to the multilateral nature of the liberalisation that the RCEP requires and spillovers from members’ increased productivity. The CPTPP is a natural benchmark for the RCEP. The CPTPP adopts the original text of the TPP, minus 22 provisions that were suspended. While the CPTPP is expected to fall short of the RCEP in absolute income gains, it will offer greater benefits relative to the GDP of its members. If the CPTPP adds members — as is likely — its benefits could overtake those of the RCEP and exert pressure on the RCEP for more rigorous rules and market access commitments. The CPTPP is already playing a constructive global role. Its provisions — addressing dramatic changes in the structure of trade in the 25 years since the Uruguay Round of multilateral trade negotiations — are being adopted in other agreements, including the recent USMCA (United States-Mexico-Canada Agreement). The quality of the RCEP will also benefit as CPTPP provisions inform its negotiations. Australia and New Zealand are reportedly calling for importing various CPTPP rules into the RCEP. As the world navigates the threat of a major trade war, the case for trade — as an engine of development and catalyst for economic reform — is under siege. The WTO’s Doha Development Agenda (DDA) is moribund and populism in the Americas and Europe espouses nationalistic, mercantilist policies. 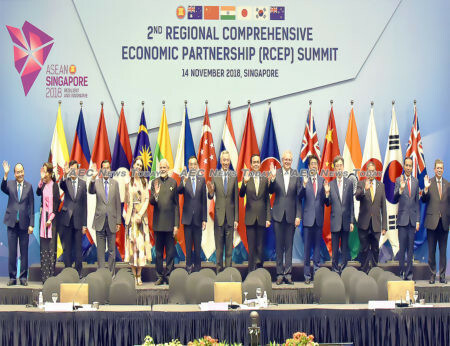 The RCEP can offer an optimistic answer: a developing-country-centric, pro-integration alternative on an unprecedented scale. 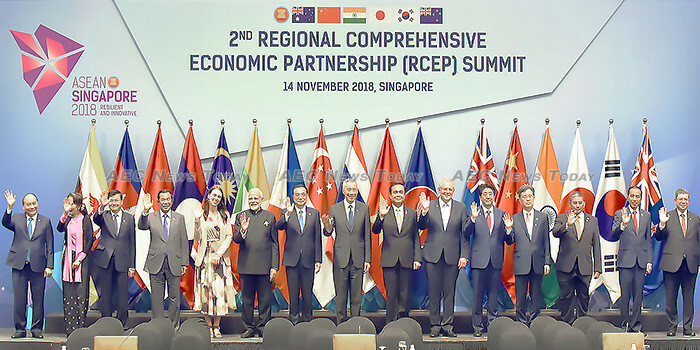 The RCEP might even rekindle interest in broader regional integration, as an Asia-Pacific Economic Cooperation (APEC) pathway to a Free Trade Area of the Asia Pacific. That project would have huge economic benefits, potentially worth trillions of US dollars. However, for the benefits to be reaped a consensus needs to be reached and the document signed. It will therefore be a significant accolade if Thailand is able to bring the RCEP to fruition during its year as Asean chair. This article was written by Peter Petri, a Carl J Shapiro professor of International Finance in the International Business School, Brandeis University and Michael Plummer, a director of SAIS Europe and the Eni Professor of International Economics in the School of Advanced International Studies, Johns Hopkins University. It first appeared on the East Asia Forum under a Creative Commons License and is reproduced here with its permission.